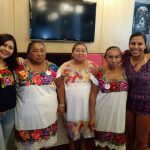 Members of the Much Kaab honey cooperative attended the 4th Indigenous People’s Expo in Mexico City recently. 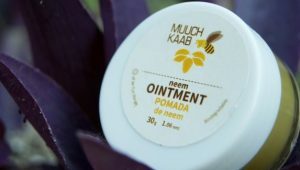 They brought a large stock of their toiletries and medicinal products based on Melipona bee honey. It was a large event with 400 groups dedicated to making hand-crafted products from all states. 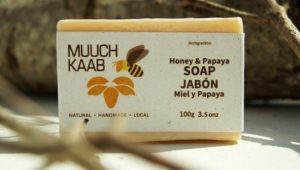 Many people bought products from Much Kaab, and some companies asked for more information about the cooperative. The group have recently re-launched their products with new packaging and recipes, so this was a good opportunity to spread the word. We were very happy, it was an unforgettable experience. It was very difficult, but we are very committed, we try to do everything right because next year we want to return. The results were very good - we had never sold so much at an event and it was important because these activities are the ones that lead to greater profits for the cooperative.